The discography contains a number of images. Please allow time to load. Virgin VS 353. "Just Another Dream" / "Action Man"
Virgin VS 376. " 1-2-3 " / "White Light, White Heat" / "Baby I Don't Care"
Notes. Limited number with fold out poster sleeve. Virgin VS 426. " 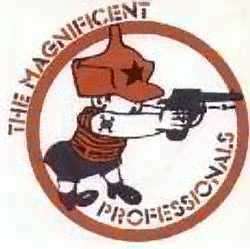 Join The Professionals" / "Has Anybody Got An Alibi"
Virgin VS 456. "The Magnificent" / "Just Another Dream"
Notes. "Just Another Dream" is same cut as VS 353. Virgin V 2220. "I Didn't See It Coming"
Notes. 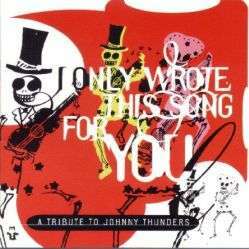 Re-released on CD, April 1999, in Japan (Cat. No. VJCP-68059). (Pictured). UK CD issue, June 2001, (EMI 7243 5 33588 2 2) Eight additional tracks added: Just Another Dream / Kamikaze / 1-2-3 / Mods Skins Punks / Join The Professionals / Has Anybody Got An Alibi / White Light White Heat / Baby I Don't Care. Limited Edition Records Ltd Edt CD1. 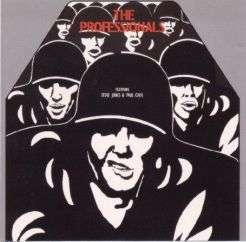 "The Professionals"
Limited Edition Records Ltd Edt 1LP. 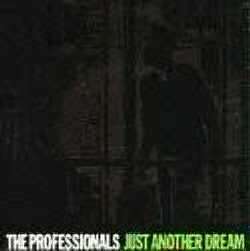 "The Professionals"
Tracks: As above. (Vinyl issue). Notes. Both formats (CD & vinyl) limited. LP available in green or black vinyl. Some vinyl copies with picture sleeve, some without. Virgin CDOVD 459. 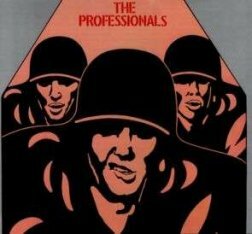 "The Professionals"
Notes. CD only. See "Professionals Profile" for details. Notes. Vinyl only. Copies of the original 'abandoned LP' from 1980, surfaced in late 2001. The origin of these albums is unclear, as is their legitimacy. Captain Oi! AHOY CD 263. 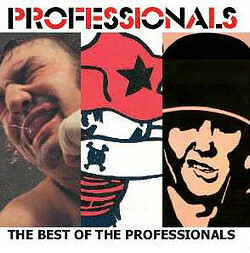 "The Best Of The Professionals"
Notes: 14 track compilation. Sleeve notes by Phil Singleton. Universal 4745677. 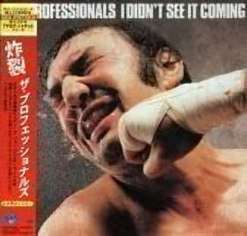 "The Complete Professionals"
Disc Two. The Looters, Sham Pistols & BBC Radio Sessions. The Looters, featuring Steve Paul, Paul Simonon and Ray Winstone. From the film Ladies & Gentlemen The Fabulous Stains. Sham Pistols, featuring Steve, Paul and Jimmy Pursey. Ignore bootlegs, only two new tracks were recorded. Here they are. John Peel Radio Session 10 Nov 80. First ever release. Mike Read Radio Session 15 Dec 80. First ever release. Notes. 3 CD Box Set. Almost 2 years in the making, the aim was to bring together all the officially released material and add to it unreleased, unheard, and unknown tracks and mixes. 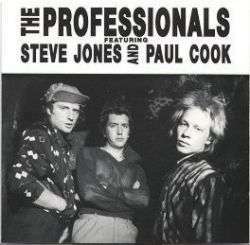 Not only does it include The Professionals, but also the only new tracks recorded for the aborted Sham Pistols project, and four songs from the film Ladies & Gentlemen The Fabulous Stains, performed as The Looters. Includes booklet with notes by Phil Singleton. Virgin MILK 1. 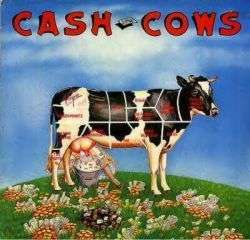 "Cash Cows"
Notes. Virgin cut price sampler album, featuring "Kick Down The Doors". 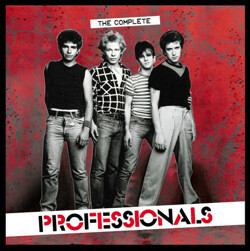 Re-issued with The Professionals track removed. See "Professionals Profile" for details. Sounds Freebie No. 2. "Little Boys In Blue" / "I'll Rip Your Spine Out"
Notes. Free flexi-disc given away with "Sounds" music paper, 31st October 1981. Plays edited version of "Little Boys...". 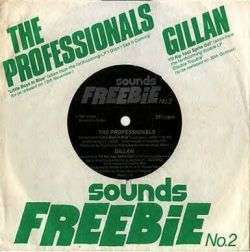 Second track is by "Gillan". Conoisseur Collection VSOP CD 188. "After The Anarchy"
Notes. 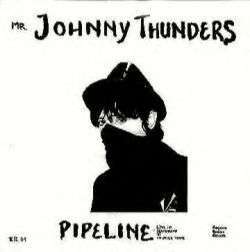 CD compilation of post-Pistols solo work. 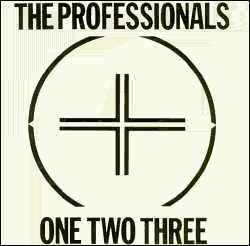 Features "1-2-3" and "Join The Professionals". The Label TLR 008. "Justifiable Homicide?" / "Take Down Your Fences"
Notes. 7" single. Steve & Paul on A-side only. Some copies on red vinyl. 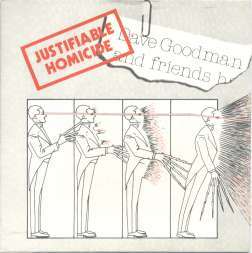 "Justifiable Homicide?" is available on the CD: "After The Anarchy" (Conoisseur Collection VSOP CD 188). Real Records RAL 1. "So Alone"
Notes. Album. Steve & Paul play on "Pipeline", "Great Big Kiss", "Leave Me Alone", "Daddy Rolling Stone", and "London Boys". Re-released on CD, July '92 & Feb '95 (Sire/Warner Bros. 9 26982-2). 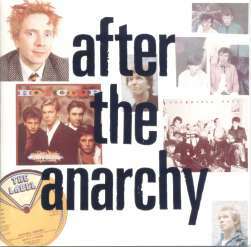 "London Boys" available on the CD: "After The Anarchy" (Conoisseur Collection VSOP CD 188). Notes. 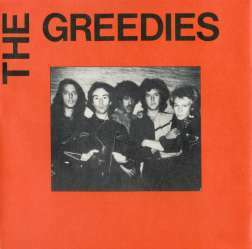 Swedish bootleg album recorded at the Speakeasy, London, 1978. Steve & Paul play on "Be Bop A Lula" and "Stepping Stone" as the "Living Dead". Cheese Records "Crime Of The Century"
Notes. Six track Swedish bootleg EP. Steve & Paul play on "Be Bop A Lula" and "Stepping Stone" as the "Living Dead", (same cuts as "Pipeline" bootleg). Cheese SMILE001 "Proud To Be Pirate"
Notes. Re-release of "Crime Of The Century". Polydor POLD 5025. "The Adventures Of Hersham Boys"
Notes. Album. Steve & Paul play on "What Have We Got", recorded live at Glasgow Apollo, 29th June '79. Re-released on CD, March '96 (Dojo DOJOCD 258), and by Castle Music in October 2000 (CMRCD021). Link 1202. "What Have We Got"
Notes. 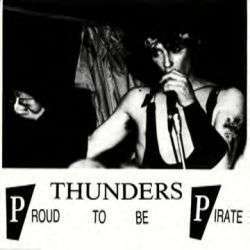 12" EP featuring the 4 "Sham/Pistols" songs from the Glasgow Apollo concert, 29th June '79; Pretty Vacant / White Riot / If The Kids Are United / What Have We Got. Link CD075. "Sham's Last Stand"
Notes. Album. CD & vinyl (MLP075). 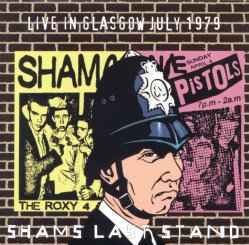 Contains the 4 "Sham/Pistols" songs from the Glasgow Apollo concert, 29th June '79. 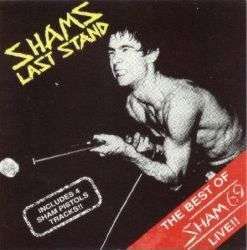 The other Sham 69 tracks are not taken from the same concert. CD re-issued on Dojo in 1993 (DOJOCD 95), and on Snapper Music in 1999 (SMMCD 540). Sanctuary CMRCD351. "Sham Pistols Live"
Notes. CD album. Sham 69 concert at the Glasgow Apollo, 29th June '79. Concludes with the 4 "Sham/Pistols" songs. Improved sound quality to previous releases. 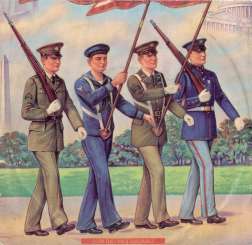 The cover mistakenly states 'July 1979'. Vertico GREED 1. "A Merry Jingle" / " A Merry Jangle"
"A Merry Jingle" has appeared on CD on the compilations, "It's Christmas Time" (Vertigo/Mercury 845 823-2) in the UK, and the 1995 US release "Punk Rock Xmas" (Rhino R2 72174). Vertigo Records 6198 264 "You Don't Own Me" / "I Love Rock n Roll"
Notes. Single released in Holland. 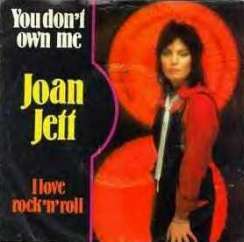 NCB 6198264 "You Don't Own Me" / "I Love Rock n Roll"
Notes. Single released in Sweden. (Pictured). Notes. Album. Steve & Paul play on & produce 2 tracks, "You Don't Own Me", (single previously released in Holland and Sweden), and "Don't Abuse Me". Re-issued as "Bad Reputation" in March 1981 (Epic EPC/40 25045). 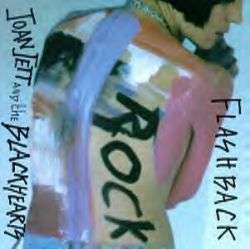 Re-released on CD in '92 (Blackheart Records JJ707), and in revised format in '98. Notes. 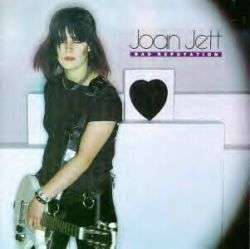 Rarities CD compilation includes version of "I Love Rock n Roll" featuring Steve & Paul, recorded during the "Joan Jett" sessions. Arista ARIST 341. 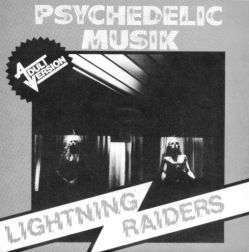 "Psychedelic Musik" / "Views"
Essential Records ESM CD 401. "I Only Wrote This Song For You. 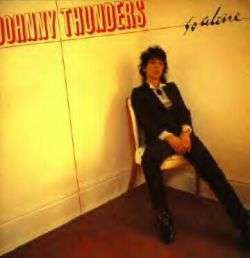 A Tribute To Johnny Thunders"
Notes. Steve & Paul perform on the track "Leave Me Alone (Chatterbox)" by Patti Palladin. Recorded in 1993, it marked the first time the pair had recorded together since "I Didn't See It Coming" in 1981. Compiled by Phil Singleton. Errors that may have occurred will make it obvious if an attempt is made to copy the above piece of work, publish elsewhere and/or claim authorship. You have been warned.